All PINNACLE PEAK VISTAS LOT homes currently listed for sale in Scottsdale as of 04/25/2019 are shown below. You can change the search criteria at any time by pressing the 'Change Search' button below. 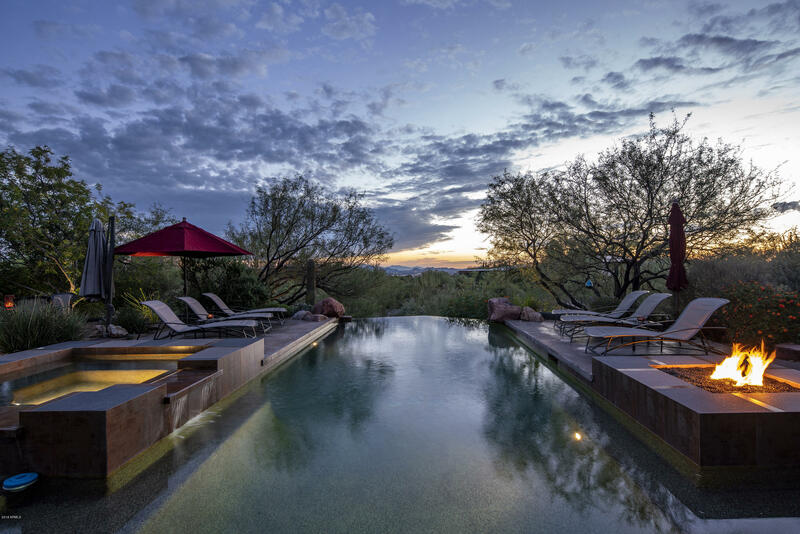 "Designed for the ultimate indoor-outdoor living this modern masterpiece sits on a private quiet tucked away 1.35 acre property in the heart of Pinnacle Peak area of N. Scottsdale. This stunning contemporary beauty boasts a lg. great room w/ a 20 ft. high soaring ceiling & an open floor plan. The resort style backyard is sure to please those looking for a spectacular outdoor lifestyle featuring a negative edge pool w/ water & fire features & spa. 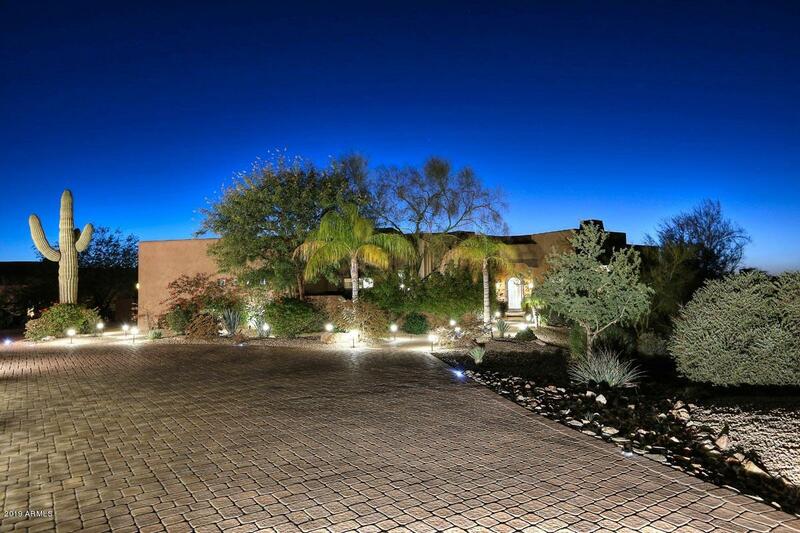 Enjoy this amazing high desert lifestyle w/ stun"
"WOW! Need a custom 58' drive-through climate controlled RV Garage with a huge workshop, separate Man Cave/Casita with Barn Door? The ''GarageMahal'' has all of the special features a Luxury RV owner needs, all detailed in Documents tab. Oh and it comes with a luxury 4904 sq ft home with Pool, Spa and Spectacular Views. This is a''Smart Home'' you can run this home from your phone or ipad! Enter the property on a lighted pavered circular drive, the home is on 1.3 Acre lot-with NO HOA. The home h"